Which ancestors do you wish you met? Do you wish you could ask them questions about certain things. I sure do. Having never met my grandparents (Fred and Margaret) on my paternal side, I think I would have like to have met them. 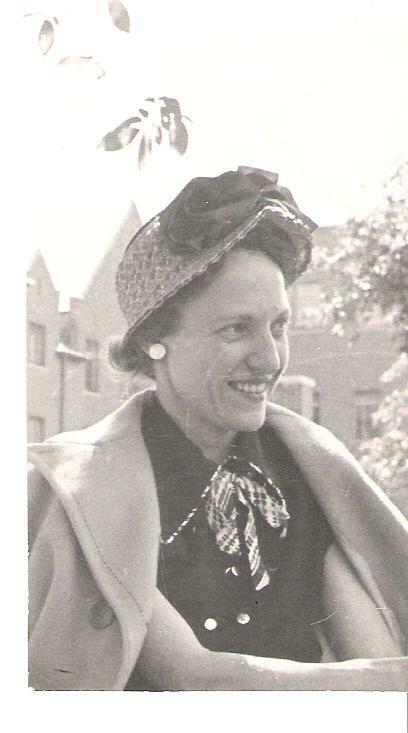 In particular, Margaret Kersten Whitehead, my grandmother. She was born 13 March 1906 in Chicago, Illinois. She died 27 August 1967. She was only 61 years old. This was about 16 months before I was born. I know for part of her life she worked for the railroad. I have a copy of a W-2 for the year 1950. It shows that she worked for the Chicago North Shore and Milwaukee Railway Company. I am not sure what she did. Viv? Leah? Dad? There is another w-2 that say she worked for the Maywood Park Trotting Association. That is intriguing to me. What was my grandmother doing working for the race track? Maybe she was an attendant, working selling tickets? Regardless, it was always a little sad, not “knowing” one set of grandparents. So today, I will think about them. I will think about how they shaped my father and his sister’s lives. Jubel! Cheers! This entry was posted in Kersten and tagged Wishful Wednesday. Bookmark the permalink. Probably, but the w2 says Margaret. But Aunt Viv agrees with you. Maybe the race track put it in her her because that was the year that Fred died. I was 3 when grandma Whitehead passed away, but I don’t remember her at all. The story that comes to mind when I think about her is actually about me! We were visiting her in Chicago and apparently no one was watching me. I ate the entire bottle of baby aspirin. I loved that orange flavor! Well I hear I was taken to the hospital and had my stomach pumped. It probably put a damper on the day. I believe I remember Mom stating it was over an Easter holiday!